Assembled in the U.S. and packed with unique features, the Moto X was the first real hardware fruit of Google’s Motorola acquisition, and probably the last now that Google sold the brand to Lenovo. But it’s still one of our favorite phones on the market today. 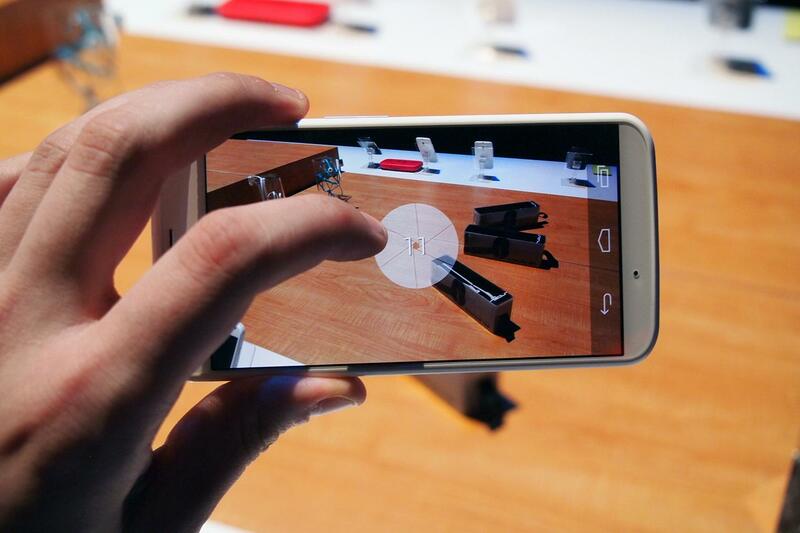 So you’ve designed your custom Moto X and want to put it through its paces. What is this phone capable of? We’ve got some Moto X tips, ideas on how to get the most from your time with it, and shortcuts to make life a little easier. Updated on 3-17-2014 by Simon Hill: Added more tips on how to save battery life, an extra tip for Touchless Control, how to use Moto X during calls, how to speed up your texting, and how to customize your sound. Most of us check our phone hundreds of times throughout an average day and we always have to tap the power/unlock button to do it. With the Moto X, there’s an Active Display feature which flashes up the time and an icon for any notifications you have every time you move the phone. If you want to see what the notification is, tap the icon. You’ll see it at the top of the screen and you can swipe up to go straight to it, swipe left or right to put your Moto X back to sleep, or swipe down to unlock your phone. It’s on by default and it’s a major timesaver. If you want to turn it off or tweak what it shows then you’ll find it in Settings > Active Notifications and you can also tap on Manage notification types to decide what gets displayed. If you’re worried about privacy you can prevent the content of messages being accessible without your PIN or pattern. You can also turn the feature off between specific hours while you sleep. You can twist your wrist twice while holding the Moto X to bring the camera app up, even if the phone is asleep. You can also swipe from the right on your lock screen to go straight into the camera. Focus and take a shot by tapping anywhere on the screen. That makes it fairly easy to capture spontaneous moments. Swipe from the left and you’ll get a dial of options including your flash, HDR, and everything else. Swipe from the right and you’ll enter the gallery to review your photos and videos. You can pinch to zoom and you can also pinch out to go to a film reel view which allows you to quickly delete photos or videos by swiping them away up or down. There is also a Tap to focus option you can turn on from the dial, which allows you to tap on the specific area you want the camera to focus on before it takes the shot. If you want to take multiple shots then you can actually just tap and hold on the screen. You can also tap on the screen while recording video to capture a still. 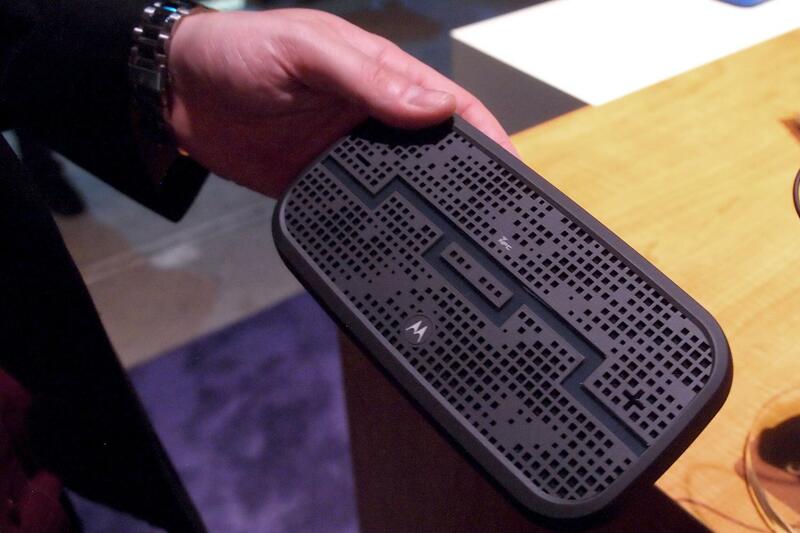 One of the things that truly makes the Moto X unique is its ability to respond to your voice, even when it’s sleeping. This is achieved through Touchless Control accessed via Menu > Settings. It means you can say OK Google Now to wake the phone and then ask various things. Check out our how to use Google Now guide to learn about the possibilities. When you first set it up, go to Menu > Settings > Touchless Control > Train launch phrase and you can train your Moto X so it only responds to your voice. We’ve discussed tips for saving your smartphone battery before, but the Moto X also has a built-in battery saver feature. Go to Settings > Battery and you’ll see the Battery Saver option at the top and you can toggle it on or off. When your battery drops to 15 percent, the saver will kick in to disable background data and reduce the screen brightness and timeout. It gives you a little extra time before you have to plug in that charger. It’s also worth using a black background because the pixels displaying black are effectively turned off and this can save a little extra battery juice. If you don’t have black wallpaper, just take a photo in a pitch black room with the flash turned off and set it as your wallpaper. If you’re having problems then take a look in Settings > Battery to see what’s drinking the most juice. If you want to get more data, then install something like CPU Spy Plus and see if you can find the problem. If you use a pattern lock or a PIN then it’s a pain when you’re in the car or connected to your Moto X via a Bluetooth headset and the screen keeps locking. Thankfully there’s a nifty feature to get round it. Go to Settings > Security and choose Trusted Devices and you can pick paired Bluetooth devices that are trusted. Now your Moto X won’t lock when you’re in the car or using your headset. Go to Settings > Active Notifications > Motorola Connect and you can use your Google account to connect to your Moto X through a Chrome extension. That means you can see incoming calls and messages on your browser. You can even respond to texts or send new texts. If you have a Miracast dongle or device then you can easily share your display wirelessly by going to Settings > Display > Wireless Display. It won’t let you play DRM-protected files though. If you’re lucky, you got a Motorola Skip pack with your new Moto X. If not it will cost you $20. It’s basically a little clip that you can slip onto your shirt cuff or a bag strap and program as a quick way to unlock your Moto X. 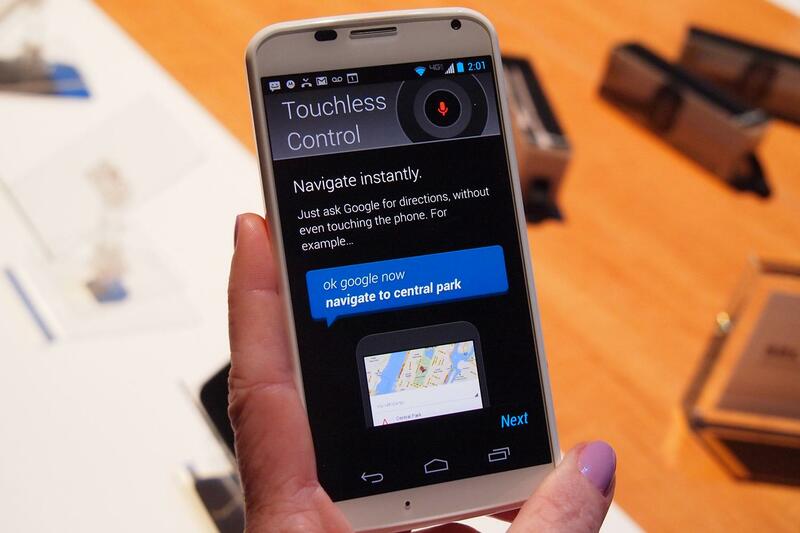 It uses NFC and you simply tap your Moto X on it to activate it and set your unlock pattern or PIN. It means you can quickly unlock your Moto X without having to input anything. You should also get three stickers that serve the same function. The proximity sensor turns the screen off when you hold the Moto X up to your face during a call to prevent accidental key presses. Pull the Moto X away from your face to bring the screen back to life or press the Power key. You can tap the Home button to hide the call display and open another app or search for something while on a call. You could use Touchless Control to dictate your text messages, but there are other ways to speed things along. Go to Settings > Language & input and tap the preferences icon to set up your automatic punctuation rules. You’ll also find Personal Dictionary in here and you can add frequently used words and create shortcuts for them. To add a word while you are typing, simply press on the word below the text field in the suggested words box when it pops up after you type it, and it will say Touch again to save, do so and it will be added to your dictionary. 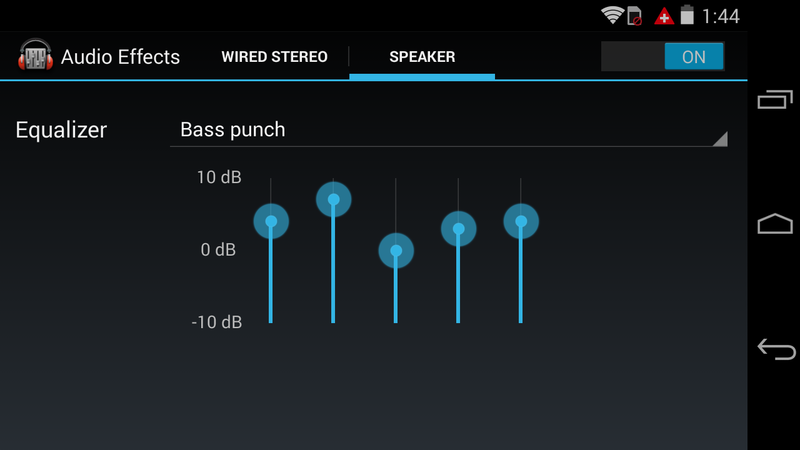 The Moto X has an equalizer. Go into Settings > Sound > Audio Effects and you’ll see equalizer settings for Wired stereo (covering headphones or whatever else you plug into your Moto X) and Speaker. There are several preset profiles to choose from. Even though the Custom option would suggest that you can alter the sliders yourself, you actually can’t. If you want to tweak the settings beyond the presets then you’ll have to snag a third-party equalizer and use that instead. That’s all the Moto X tips we have right now, but we will add to this article over time, so please check back. We have some potential fixes for anyone encountering Moto X problems. We’d also love to hear your top Moto X tips so post a comment and share them.